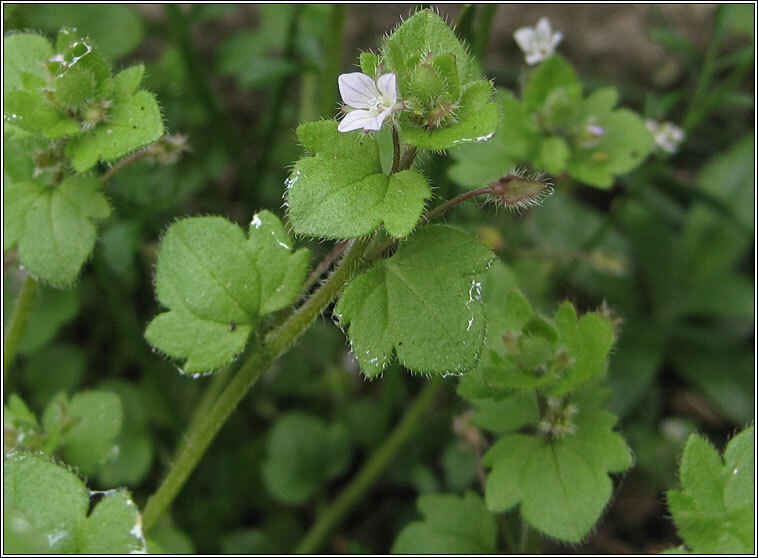 Small pale lilac-blue flowers in leaf axils followed by hairy fruit capsules with 2-4 seeds. The stalked, hairy leaves are ivy-shaped and pinnately lobed. 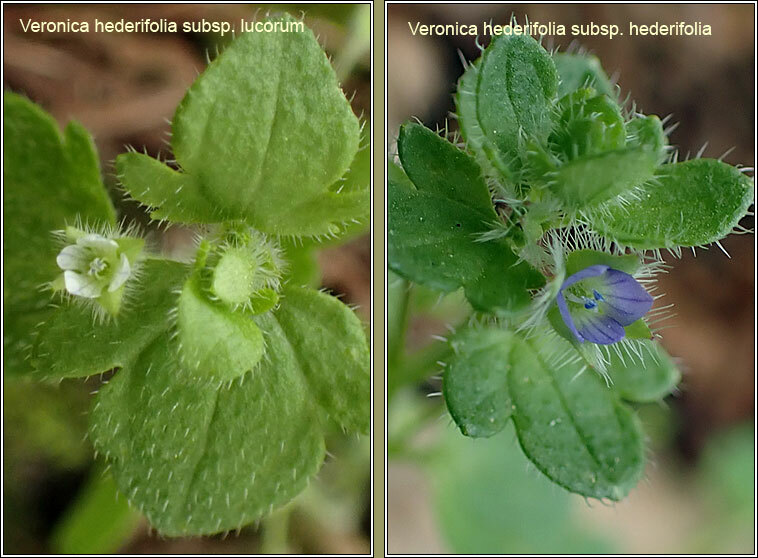 Two sub-species are recognised: V. hederifolia ssp. 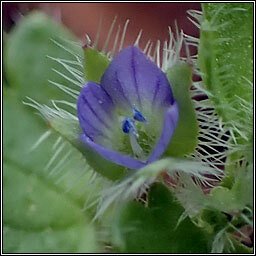 hederifolia with blue anthers and ssp. lucorum with white or paler-blue flowers and pale anthers.